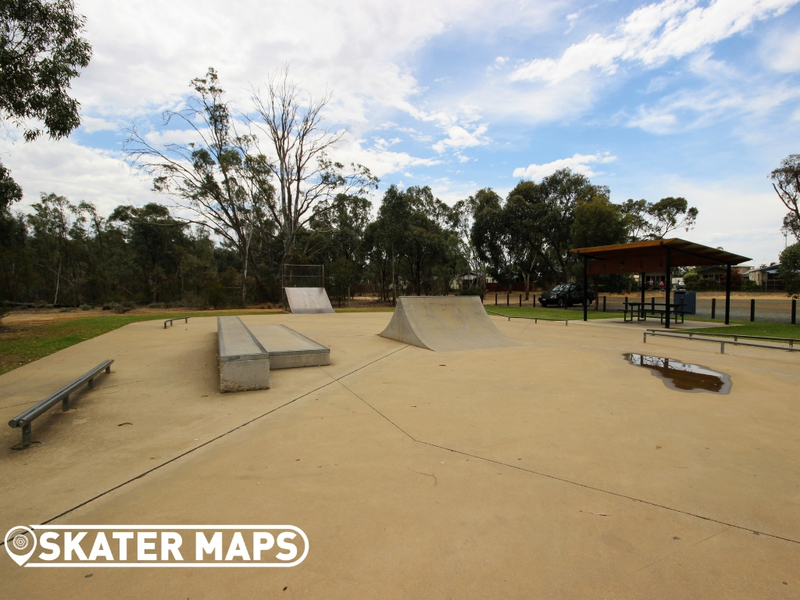 The Murray Shire Council are stoked to show off their $440,000 Moama Echuca Community Skate Park. 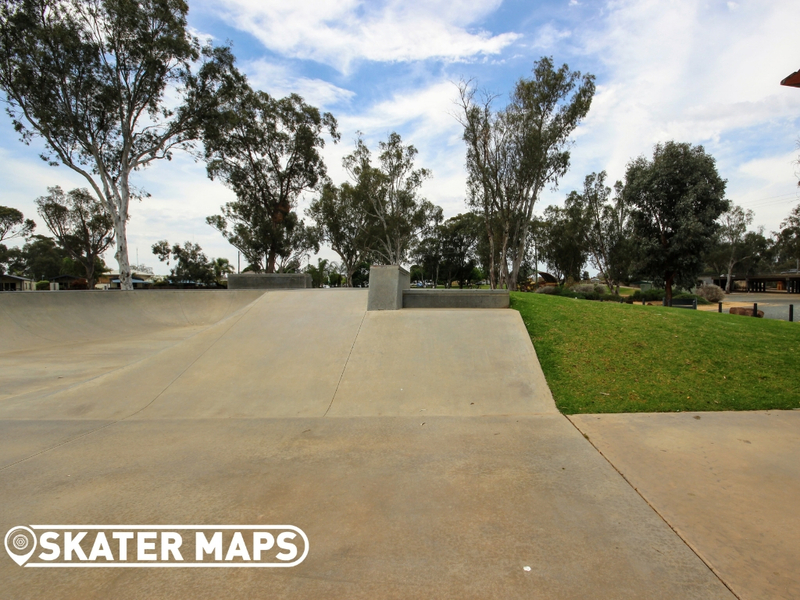 The Skatepark was constructed in 2011 and connects to the previous skatepark. 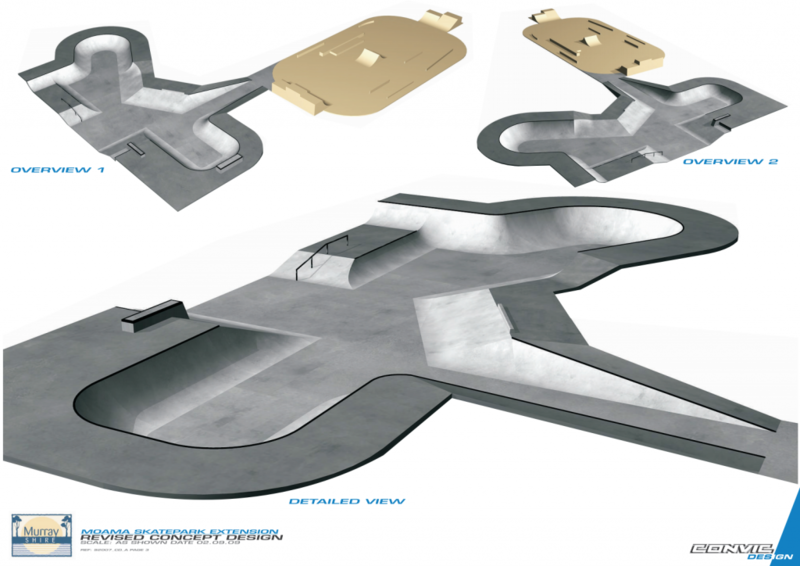 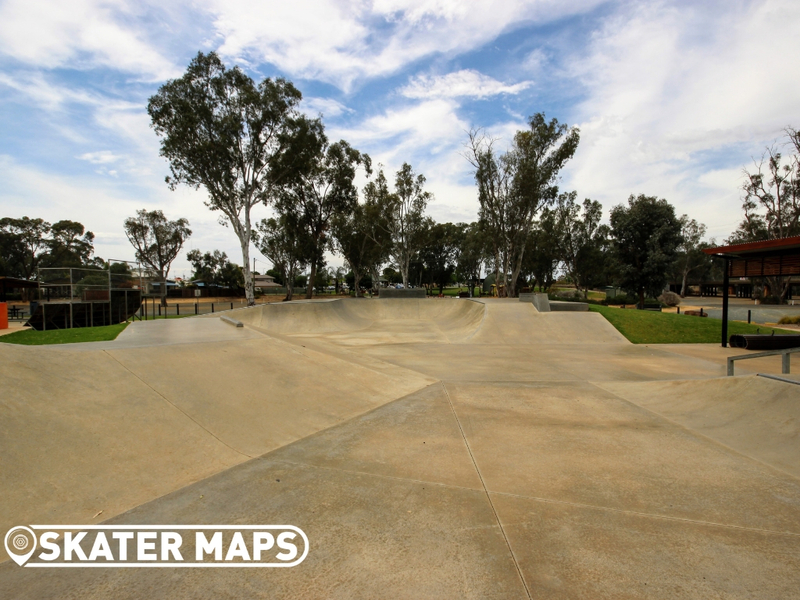 The contrast between the new and the old skatepark is hard to miss and serves as a great example of how we can add to existing parks instead of building over the previously existing skatepark. 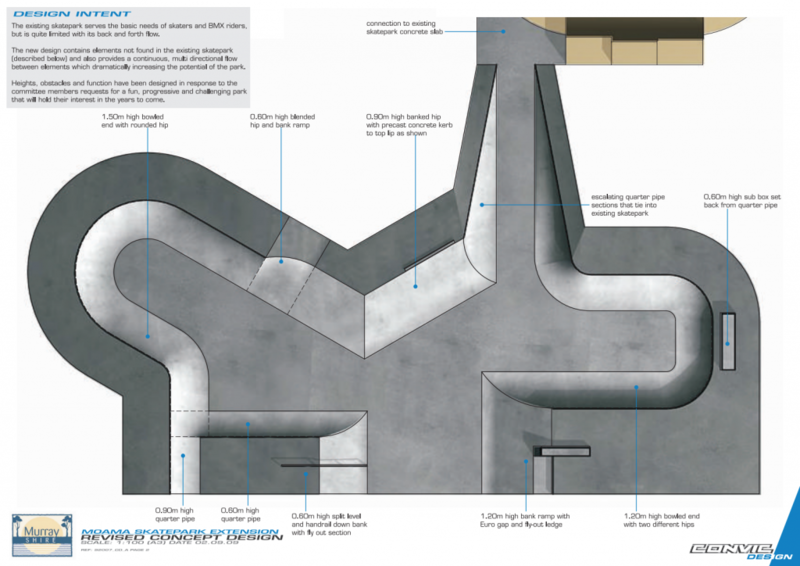 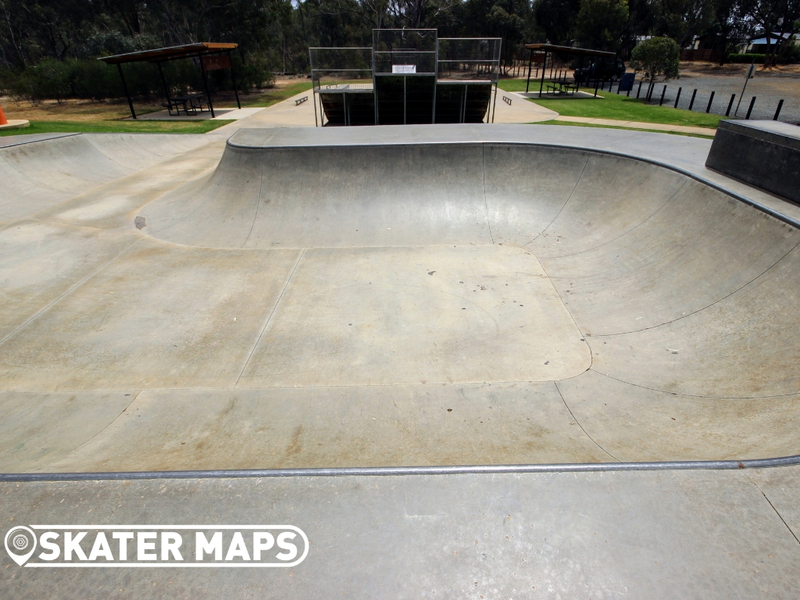 The old skatepark makes for a rad street section with heaps of rails, an awesome concrete double quarter with spine, several ledges and a few steel ramps. 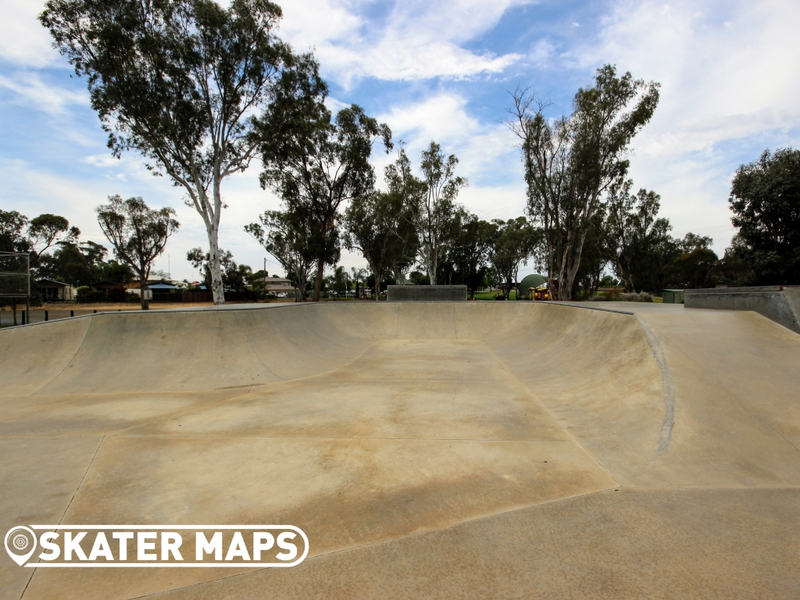 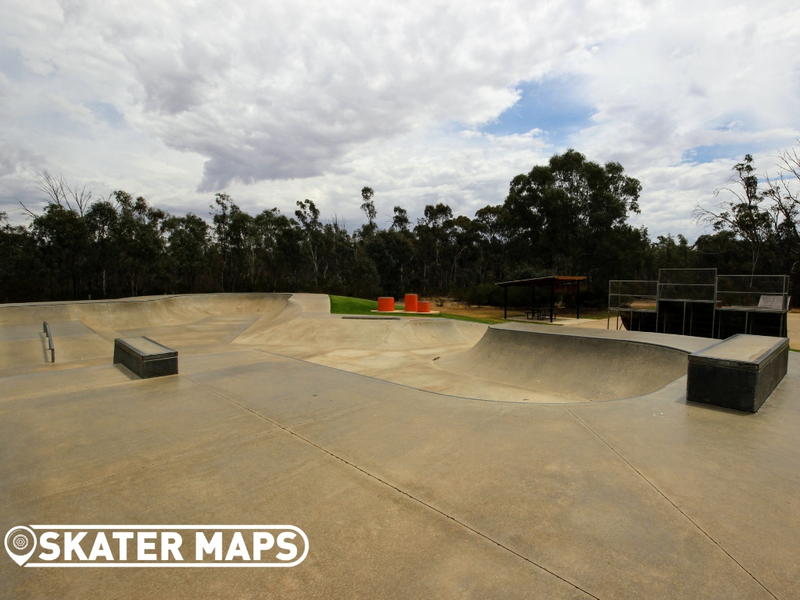 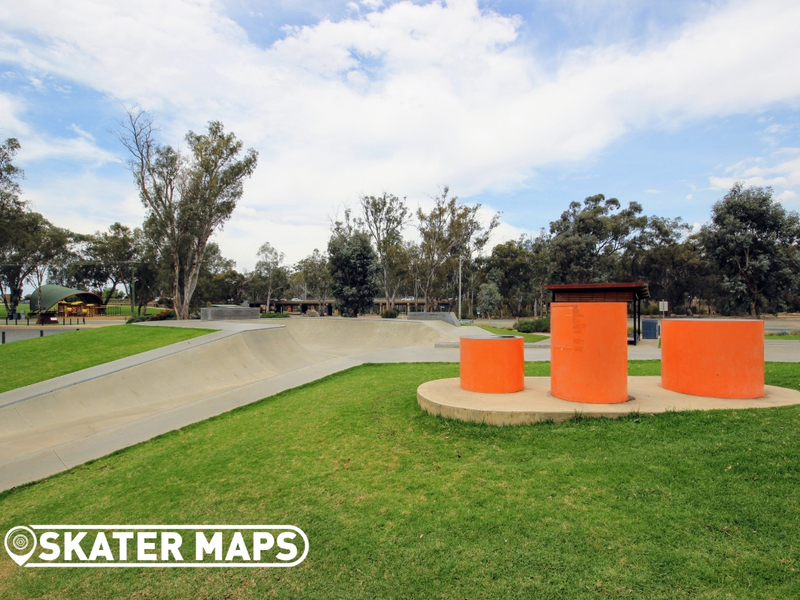 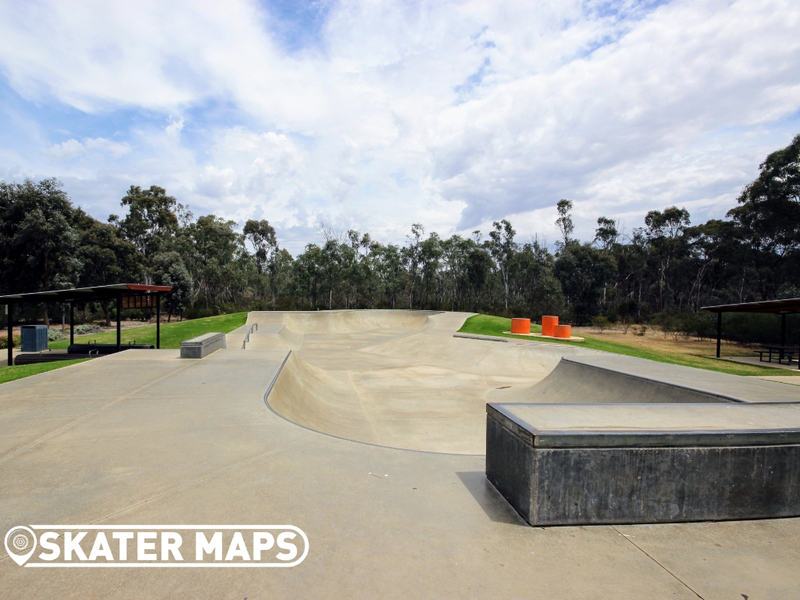 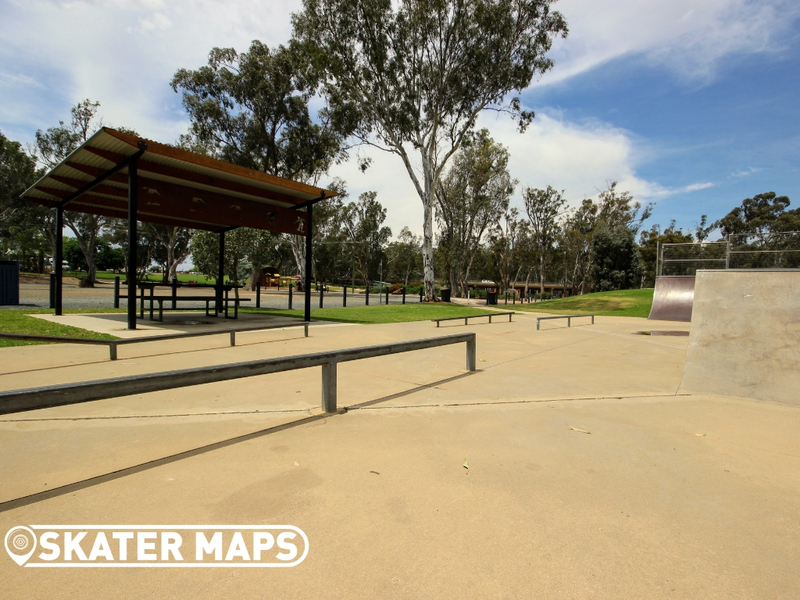 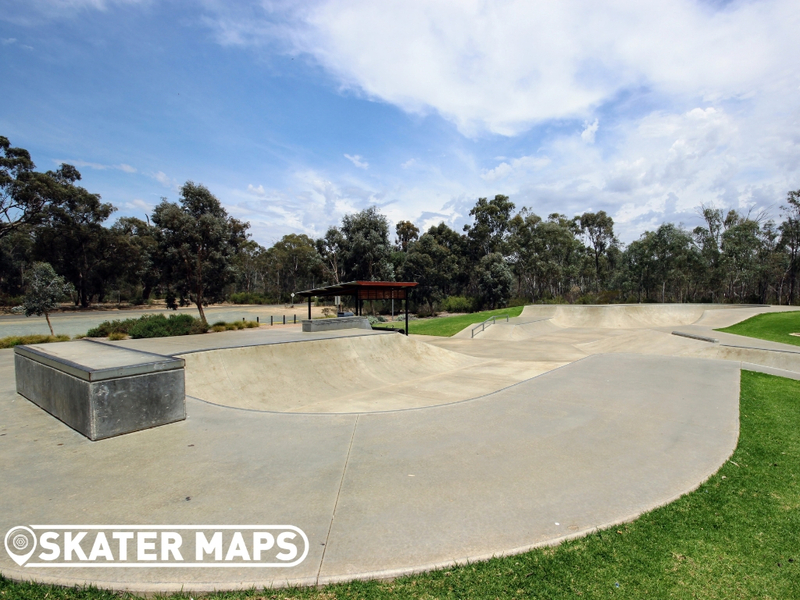 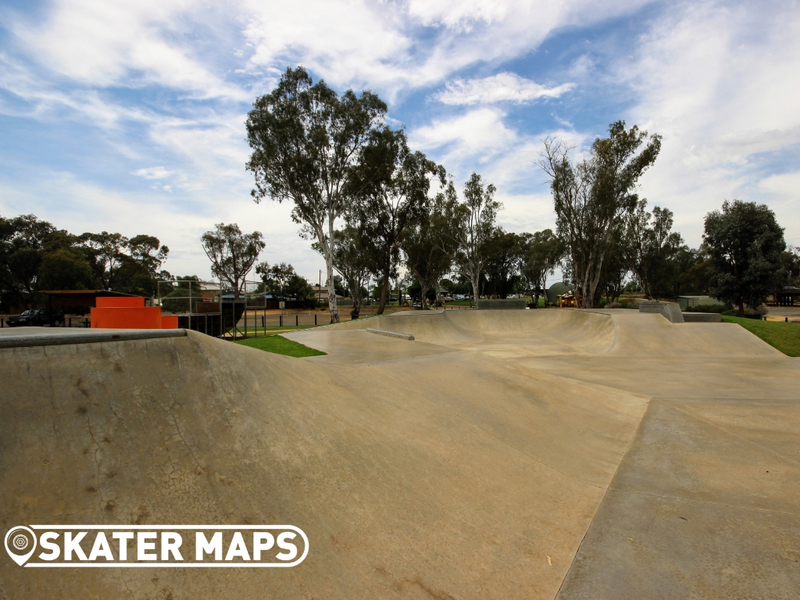 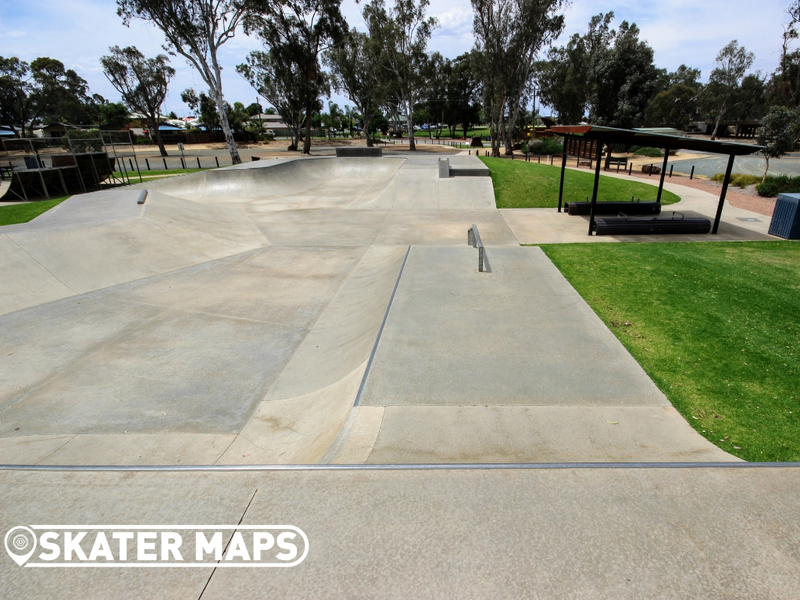 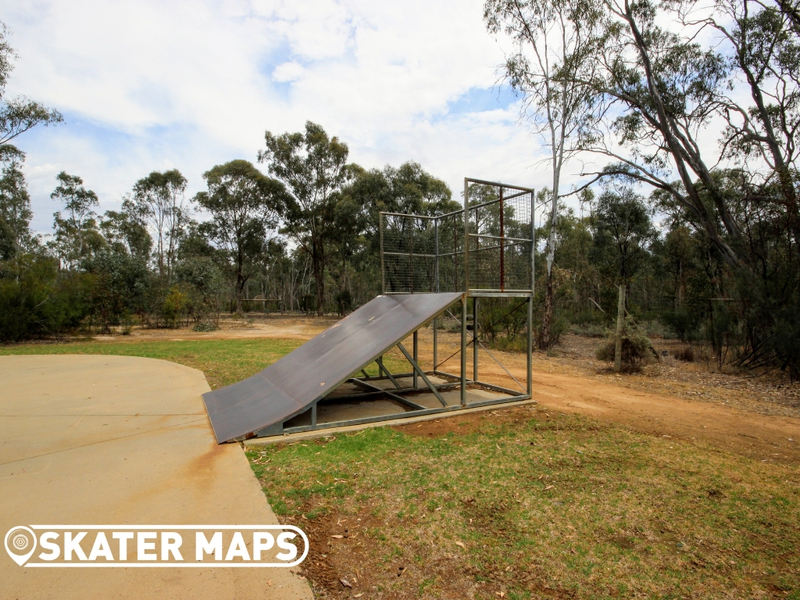 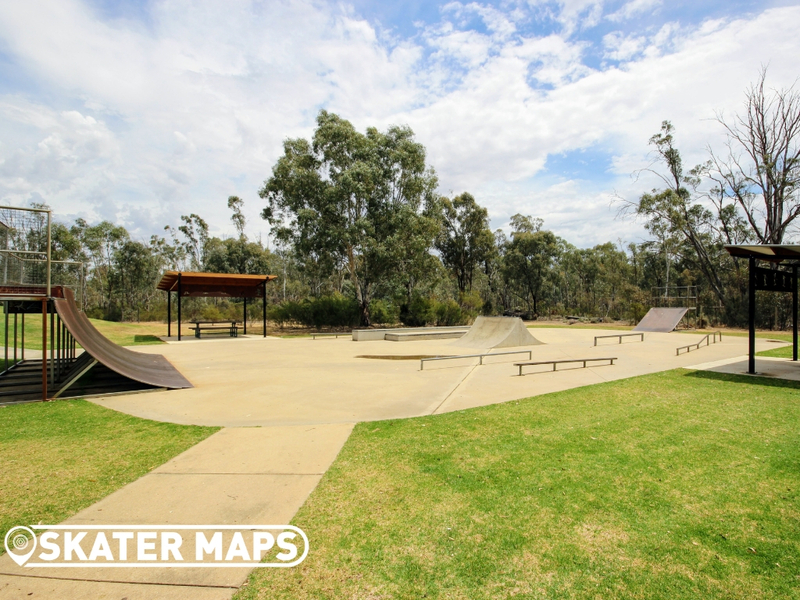 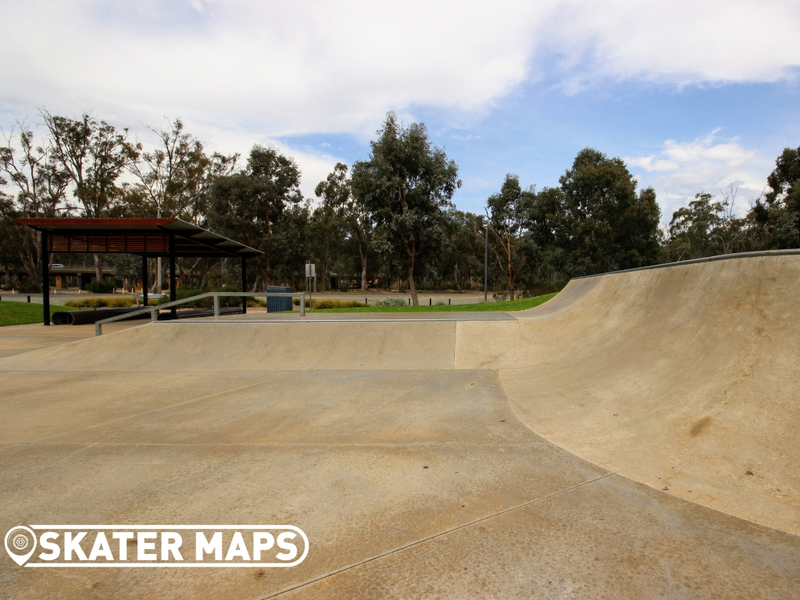 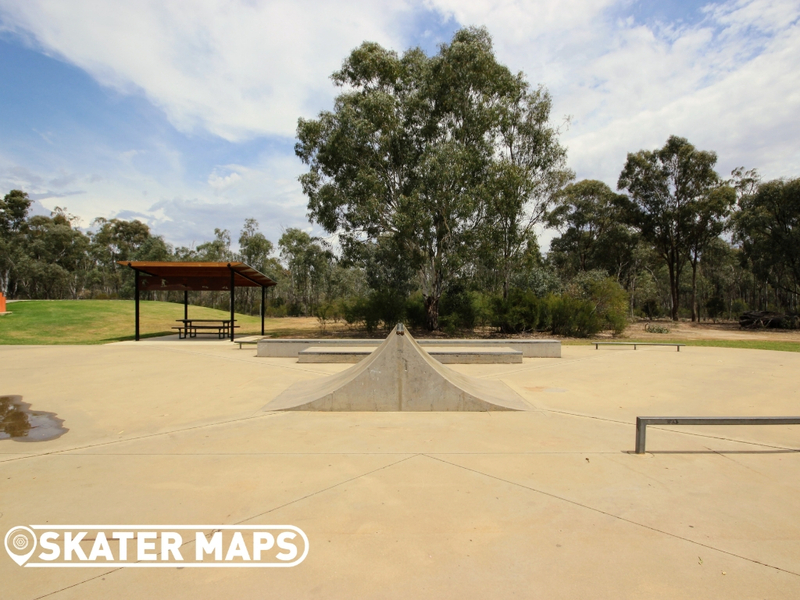 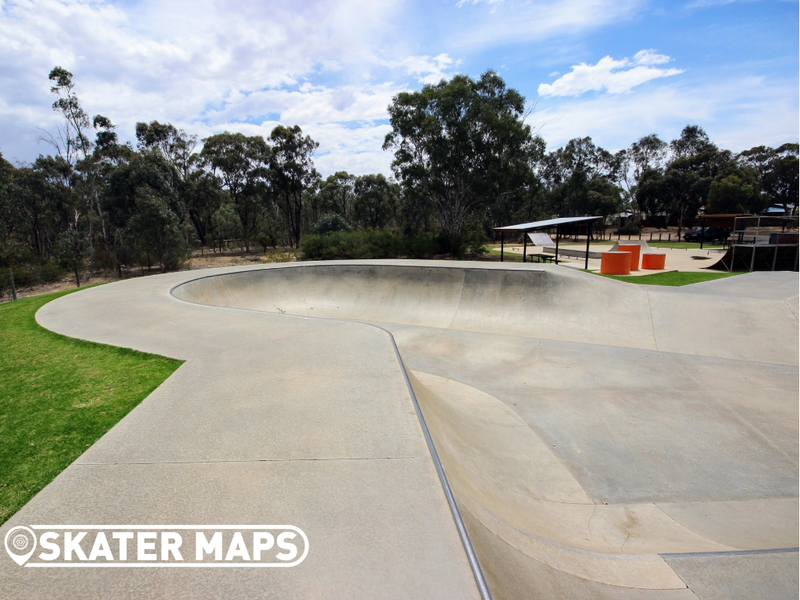 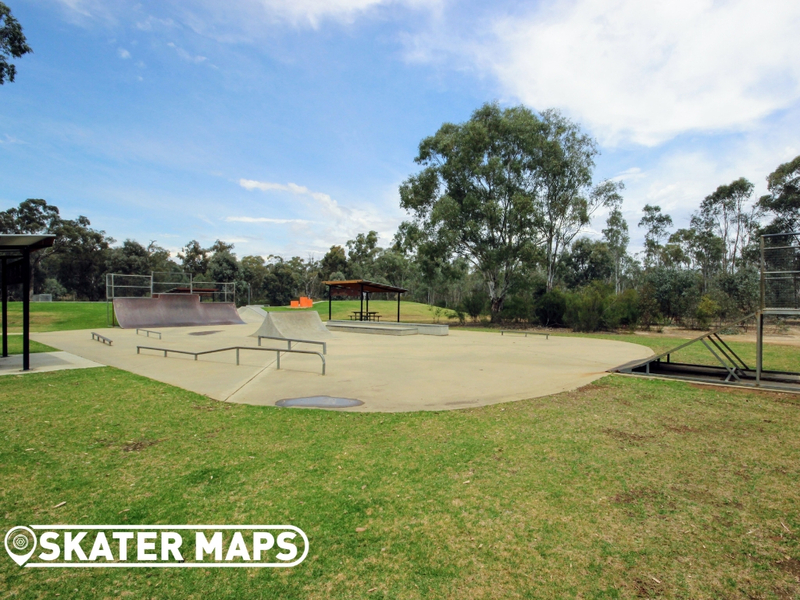 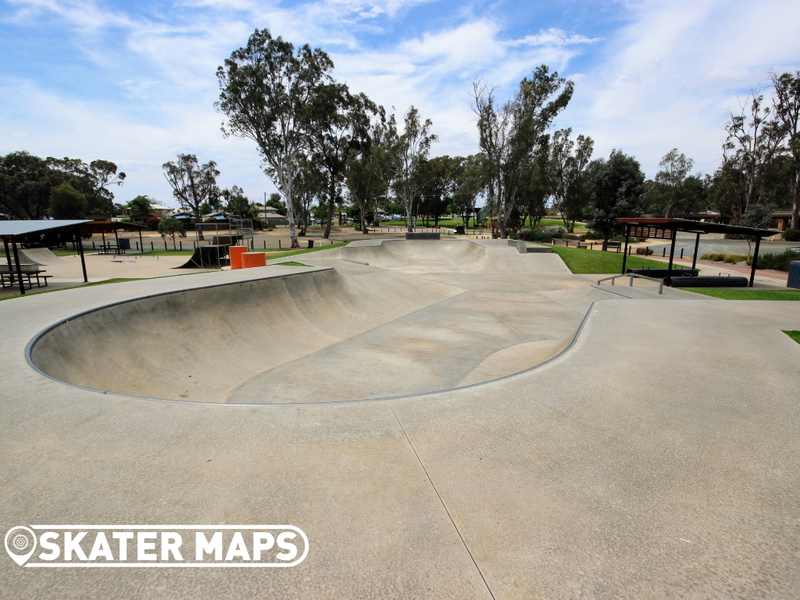 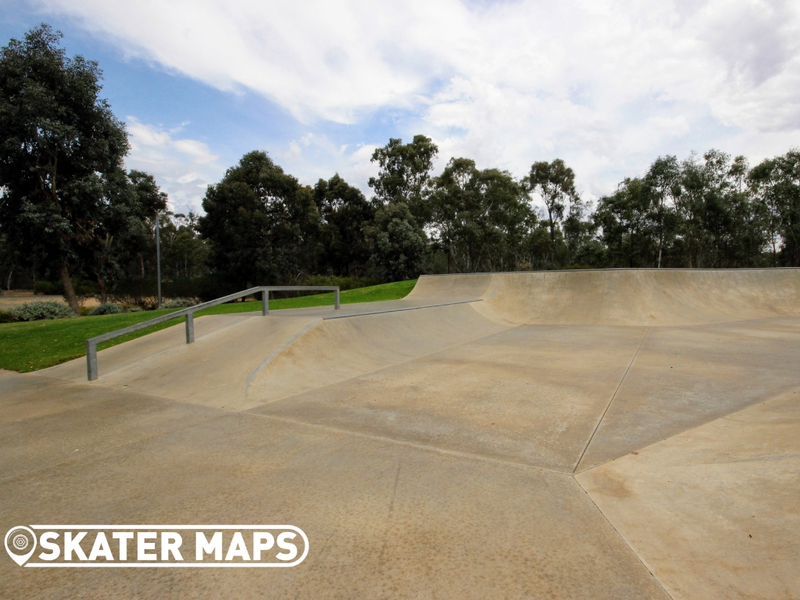 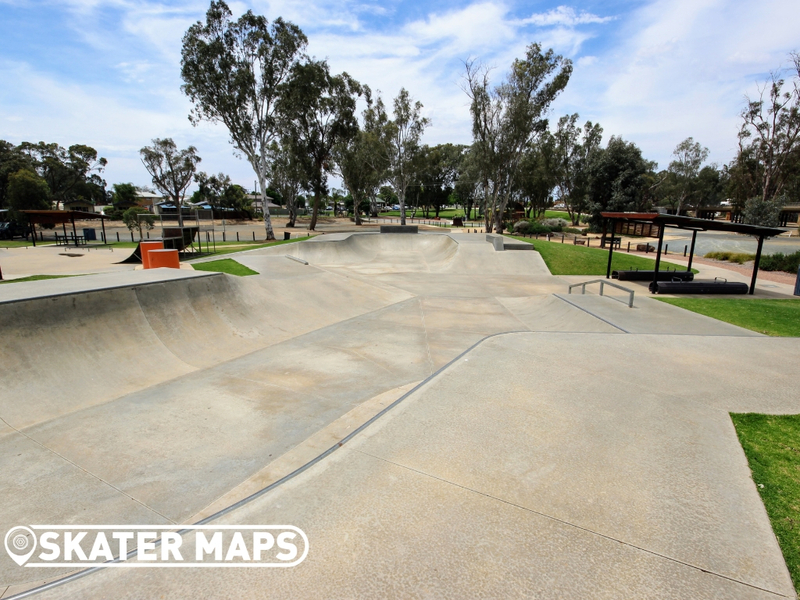 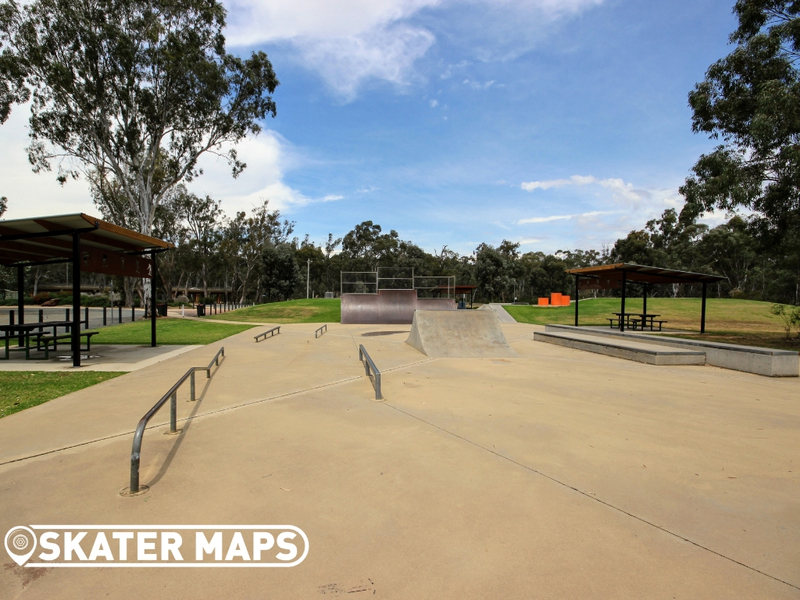 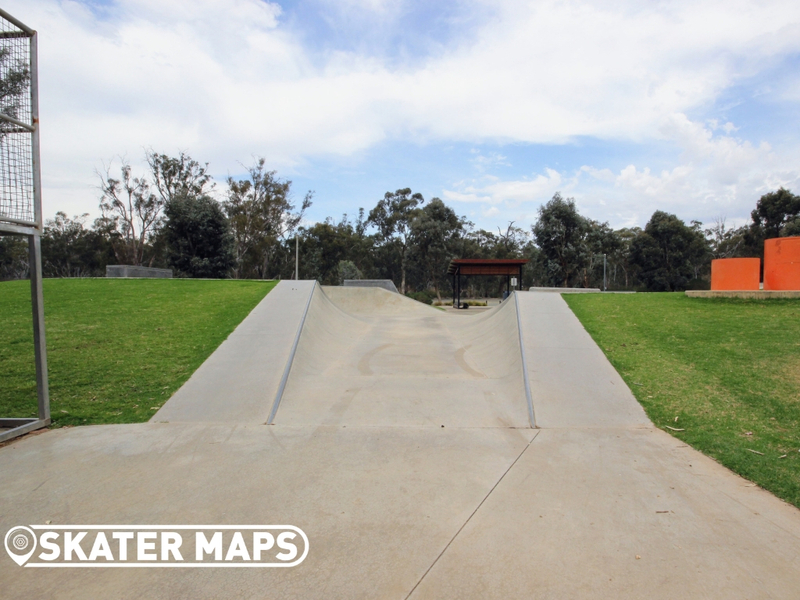 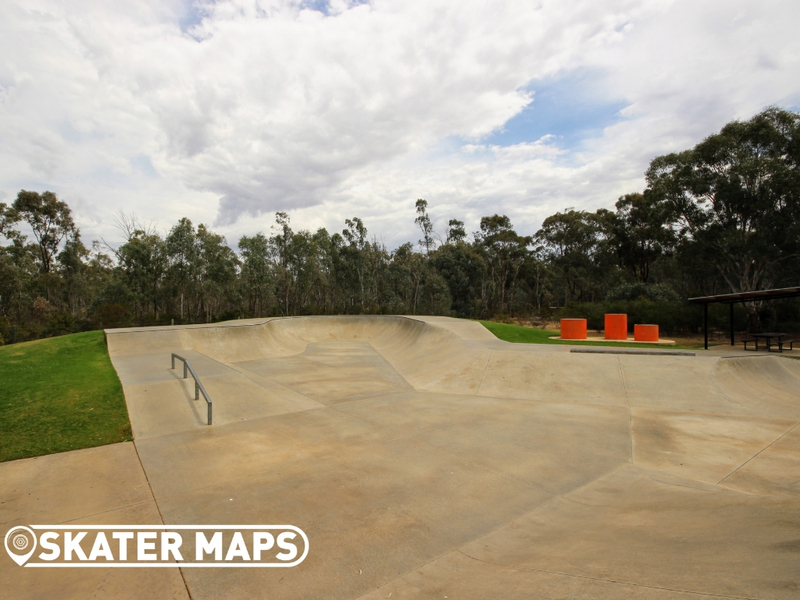 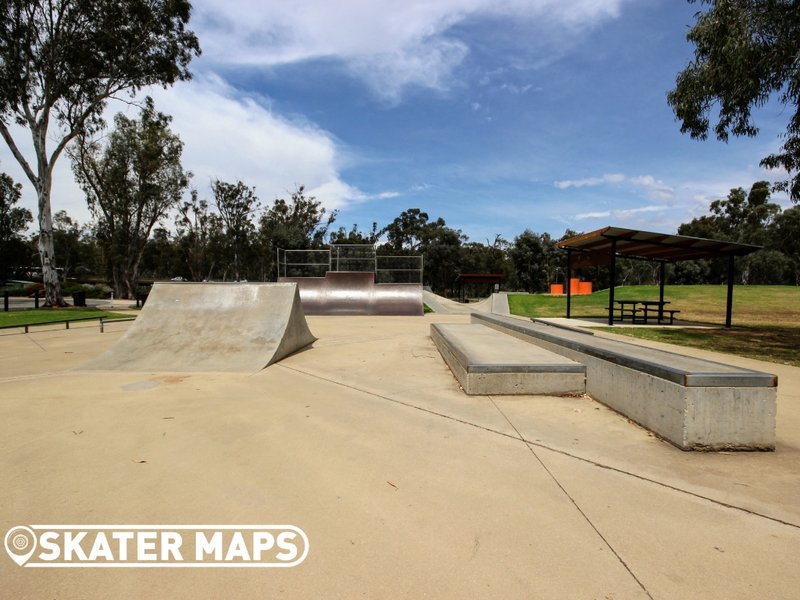 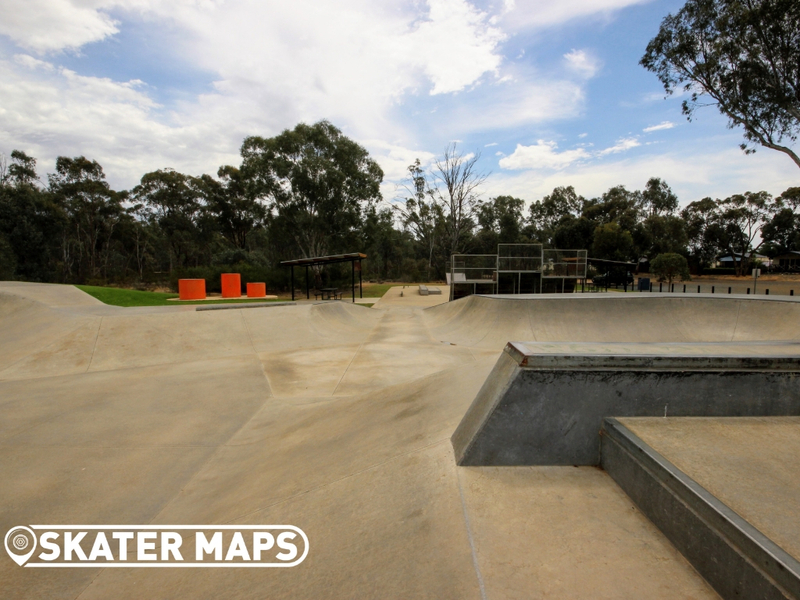 The new section of Moama Skatepark is something to be admired by everyone and shredded by those lucky enough to ride it.